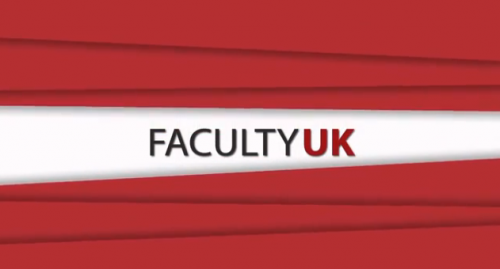 It's been a long time coming, but we've finally got the second episode to ‘Faculty UK’. Earlier on in the year they presented to us the first episode of the brand new web show with a live session by Che Lingo, interview with writer and producer Tristan Fynn-Aidenu and a spoken word performance from Samuel King. Now less than two months down the line - the ‘Faculty UK’ team present to us a London based singer Irini Mando who covered Blackstreet's ‘No Diggity’, and adds her own soulful and hint of jazz twist to the song, and making this version hers. Hitting all the correct notes, it's hard to turn away from Irini Mando's undeniable talent. Citizens UK's Community Leaders - Ismael Musoke sits down for an interview with Faculty UK, and gives a brief overview to who he is and what he does for the community, his college, and the campaigns he works on including ‘City Safe’ - a campaign to get businesses to care about their communities and to work with young people, in order to improve the image of young people. Ending the web show is Kayrond who takes to the mic and delivers a spoken word in the streets of London. All presented by the beautiful Lola Michelle, watch as ‘Faculty UK’ deliver another batch of young, ambitious and talented individuals.